The Sway Allstars party band offers a level of musicianship and professionalism of the very highest level that can be dropped into any kind of event anywhere in the world and they will guarantee that it’s “that band!” that your guests are talking about on their way home. 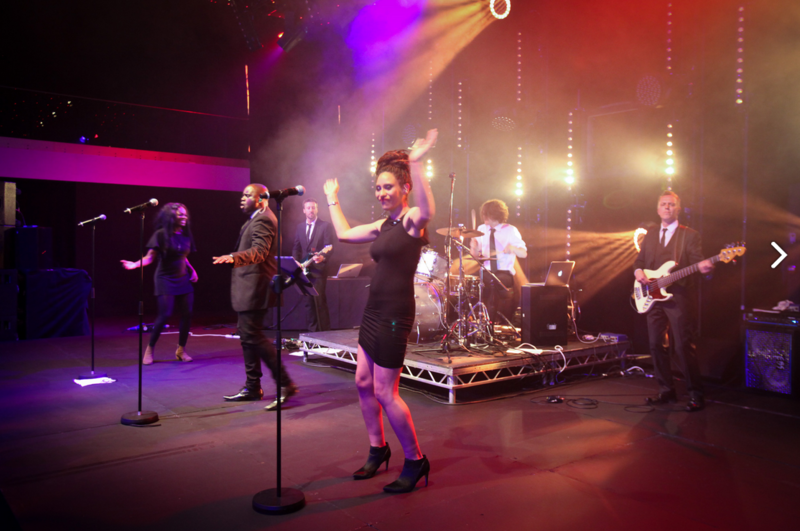 "The Sway Allstars Orchestra are without doubt the best live band I’ve ever seen at a wedding. 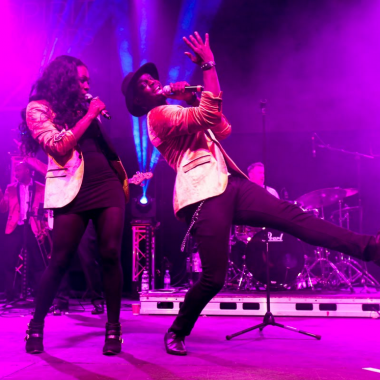 Absolutely blew us all away with their attitude, appearance, sound, vitality and brilliant sense of fun..."
"The best band I have ever seen – I’ll have to book them!" 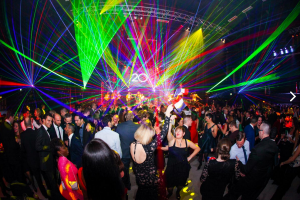 Parties are always great fun – everyone is up for having a really good time and good live music is always guaranteed to get everyone on the dance floor, ensuring the night is a resounding success. Their playlists will ensure that no one is left sitting down…. You can have a band to your exact specifications – they will adapt the band’s line-up, depending on your requirements – For example, you may like a 3 piece DJ live set if your venue is smaller and you just want to DANCE! However, you might like a 6 or 7 piece band, or any combination right up to a 20 piece show – with dancers, a string quartet and brass section, percussionist and 4 fabulous singers. 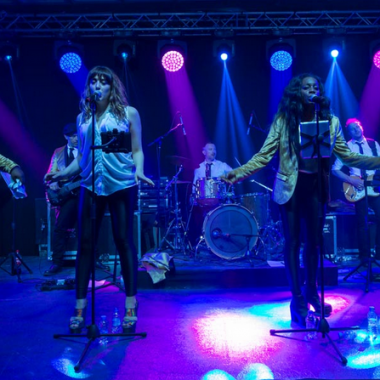 The combinations are endless, but their busiest line-up is their 10 piece party band (with 3 singers and a 3 piece brass section) or their 7 piece band (without the brass). Whether it’s on a private yacht in Cannes Harbour or a boat on the Thames, a castle in the Spanish mountains or the front room of a house in London, the open desert in Las Vegas or a private garden in Yorkshire; they’ve loved every one of them and can’t wait to see where you take then next. Every party is completely different, there’s no “one size fits all” equation for a great party band so they think very carefully about the service that we give to every different client. The whole band usually performs in elegant white (but please ask for other options) they have a wealth of experience in entertaining different kinds of people from many cultures, age-groups and backgrounds including Jewish celebrations. They usually play for around two hours, but if you prefer, they have performed for up to five hours!